Eat It! The Card Game. 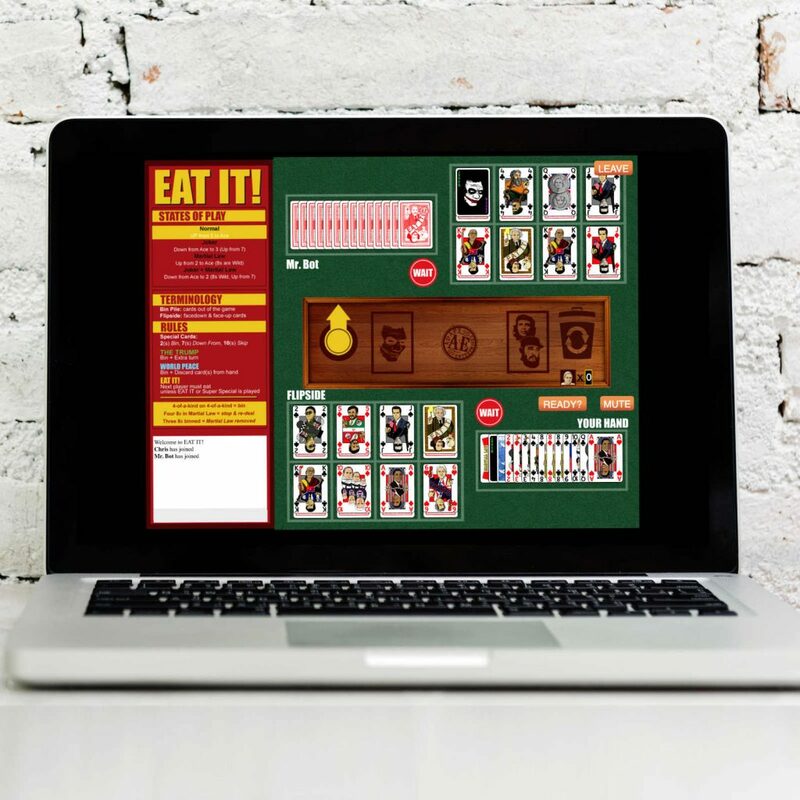 Buy And Play It Online Now.Eat It! The Card Game | If You Can't Beat It, You've Got To Eat It! If You Can't Beat It, You've Got To Eat It! Check it out on Board Game Geek! Play it online to try it out now! What Is Eat It! The Card Game? Eat It! 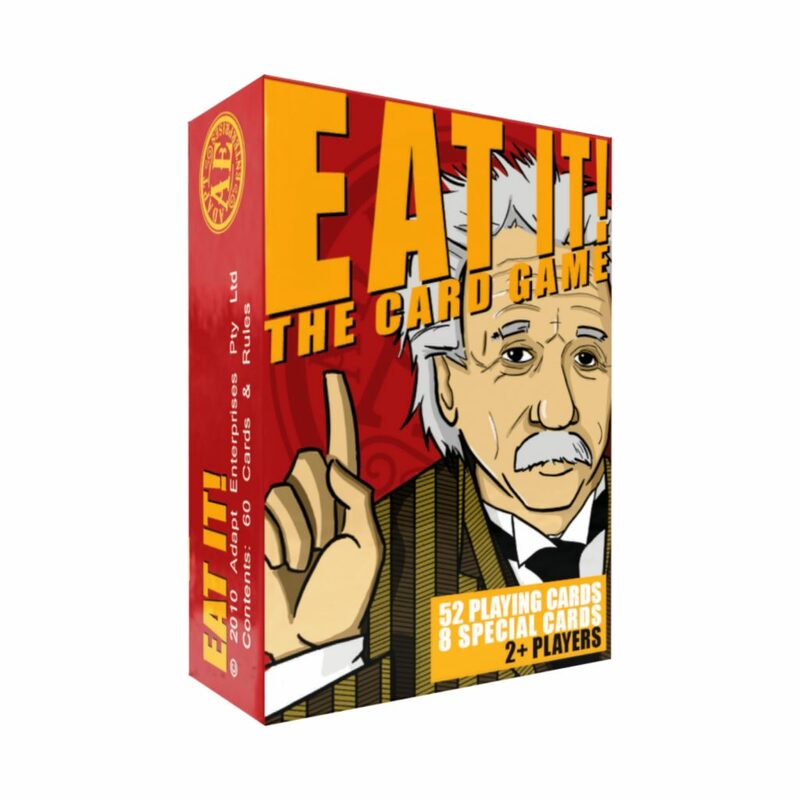 The Card Game is the perfect choice to open your game night, with snackable rounds and responsive turns, Eat It! is easy to learn and hard to master. Add 8 special cards to a standard 52 card deck and you’re ready to play! 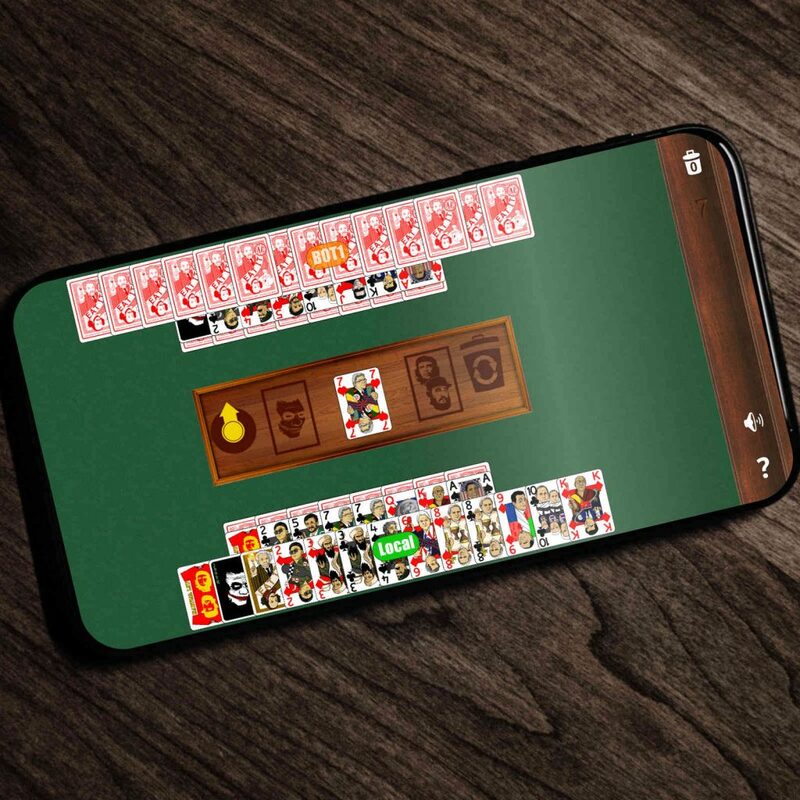 Each game is played in three stages: your hand, your face-up cards, and then finally your face-down cards. The first player to get rid of all their cards wins! 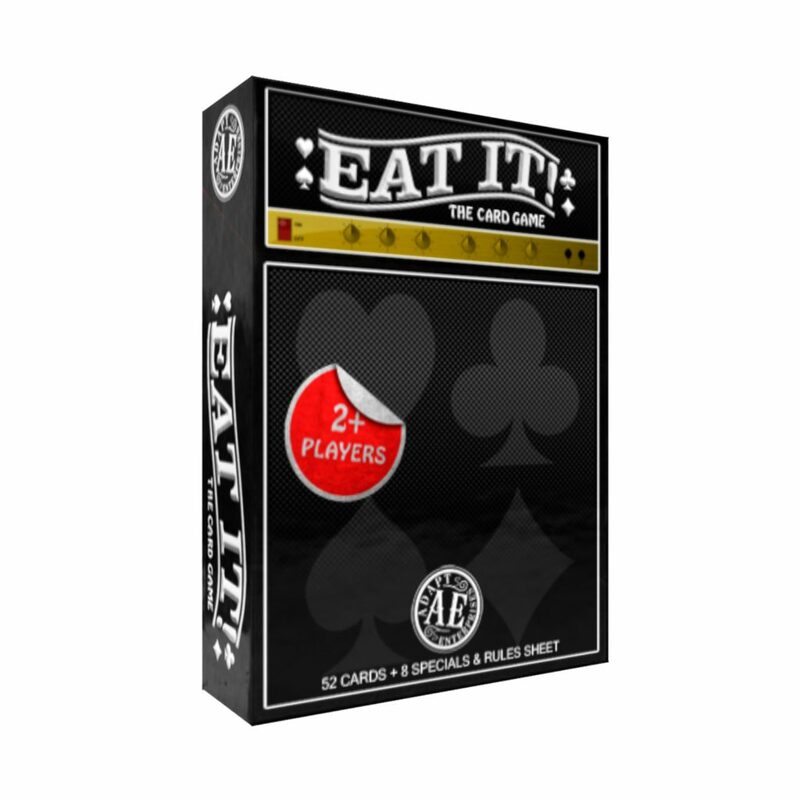 Produced by Adapt Enterprises, Eat It The Card Game is recommended for 2-6 players. Ages 8 & up.